France, Germany, the UK and the United States have released a joint-statement indicating that they believe it is highly likely there was Russian involvement in the nerve agent attack against Sergei and Yulia Skripal. But what further action could the UK take against Russia? Cristian Nitoiu identifies three options, all of which would carry potential negative consequences. The recent nerve agent attack on Sergei Skripal, and his daughter Yulia, have brought UK-Russia relations to arguably their lowest point since the end of the Cold War. While no conclusive evidence has been presented that would point to Russian state involvement, France, Germany, the US and UK have issued a statement stressing that there is no ‘plausible alternative explanation’ to Russian responsibility. Regardless of whether the UK will be able to produce strong evidence, on the surface Russia’s potential motivations for such an attack seem rather insignificant. However, with the Russian presidential election just a few days away, the intense criticism directed from the West has the potential to increase Putin’s popularity and legitimacy. Much of Putin’s legitimacy is built on the regime’s ability to portray itself as the only one capable of defending the country against West. Throughout its history Russia has embraced the narrative of the besieged fortress, but with the Ukraine crisis this seems to be the main driver behind the Kremlin’s foreign policy. If anything, in the absence of clear proof of Russian action, any criticism directed towards Putin and his regime will only strengthen the Kremlin’s claim that the West aims to bring Russia to its knees and blames the ‘Russian threat’ for everything. The Russian media has also portrayed Sergei Skripal as a traitor, and very few people in Russia will blame their government if it turns out that the Kremlin was behind the attack. On the contrary, this is already being presented as a patriotic act. But while harsh criticism from the West could increase Putin’s legitimacy, not backing up the UK’s claims might lead to Britain’s humiliation. This will add to Putin’s increasing number of ‘symbolic’ victories over the West, notably in Syria and Ukraine. If this was one of the motives behind the attack, it is very probable that the Kremlin considered that the UK and the West would not be able to implement any concrete measures against Moscow, besides the usual emphasis on the ‘Russian threat’. There is no doubt that allegations surrounding Russian interference in the US presidential elections have created a perception of a strong and able Russia in world affairs. The attacks, if proven to be led by Moscow and not met by a strong response, will most probably contribute to strengthening the perception of Russia’s growing power and influence in the international arena. Using chemical weapons on the soil of another country and getting away with it will make some countries in the world both fear and respect Russia. One of the motives behind Russian involvement in the attack might be to send a message that the UK and the West should not be considered a safe haven for traitors. Understood in the light of the long string of attacks against Russian individuals in Britain during the last decade (including the attack on Litvinenko), the aim would be to highlight that the West cannot be seen as a viable option for those willing to defect from Russia. The use of chemical weapons strengthens the message, as it shows that the Kremlin is ready to go to great lengths and take increasing risks to seek out its opponents. The attack came against the backdrop of the UK facing a crisis of legitimacy and identity in world politics. 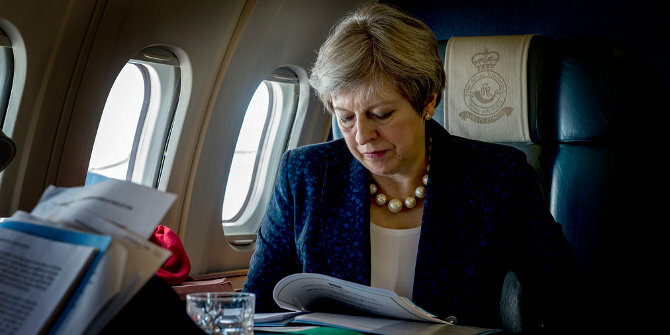 The Brexit vote, as well as the UK’s gradual disengagement from world affairs during the last decade has highlighted the weakness of the country in foreign policy. Indeed, we now find ourselves at a make or break point for British foreign policy. There are three courses of action that the British government can take, all of which carry a risk of negative consequences. Harsh words and criticism should be followed up with practical measures. Unfortunately, having imposed sanctions on Russia over Ukraine, the UK does not have many practical options at this point. Sanctions have indeed affected the Russian economy, but have not decreased Putin’s popularity or triggered any significant changes in Russian behaviour in the international arena. The British government will need to make some painful choices and focus on the Russian oligarchs who have amassed considerable wealth from their country in the UK. This is a difficult option because various Conservative politicians have also been linked to Russian oligarchs, while London has benefited from the Russian influx of capital. However, stricter controls on this capital and its origins might put increasing pressure on Russian oligarchs and subsequently on the Kremlin. The British government has indeed announced tougher sanctions as well as the expulsion of a series of Russian diplomats, but these measures will probably not have a significant impact on Russia’s foreign policy. Britain can also choose to ignore Russia’s actions and wait for the tension to subside. This would be a somewhat safer choice as it would spare the embarrassment of pointing fingers towards Russia for using chemical weapons on its soil and potentially not taking any practical measures. In this scenario, it is very probable that the UK’s international stance would be further damaged, as many countries would perceive inaction as a sign of weakness. Finally, the UK might try to get a broader international coalition to respond to and put pressure on Russia. The US and other Western countries have already voiced their support for Britain. However, for such international responses to be effective, non-Western powers such as China or India would also likely need to take a tough stance against the Kremlin. In the absence of concrete evidence, it is highly unlikely that a broad international coalition of both Western and non-Western states would support the UK. Out of the three potential policy choices, getting broad international support is the less risky option, and one which, if successful, has the potential to be heard and understood by Russia. The use of chemical weapons should not be treated lightly by the UK or the West. If conclusive evidence points towards Russia, the UK should aim to get broad international support as well as tightening regulations that affect Russian oligarchs in London, even if this might lead to losses for the British economy. In the case that Russian state involvement cannot be proven, the UK should try to work with the Kremlin to better prevent and tackle this kind of attack. Cristian Nitoiu is a Lecturer in Politics and International Relations and an Associate fellow at LSE IDEAS. Before coming to Aston he was a Postdoctoral Fellow in EU-Russia relations and Ukraine at LSE IDEAS and he held research positions at Trinity College Dublin and the College of Europe (Natolin campus, ENP Chair).